Dr. Green, I’m an employee of the school district. How do I get an appointment to talk with you? I wish to be visible and accessible to every staff person and student. 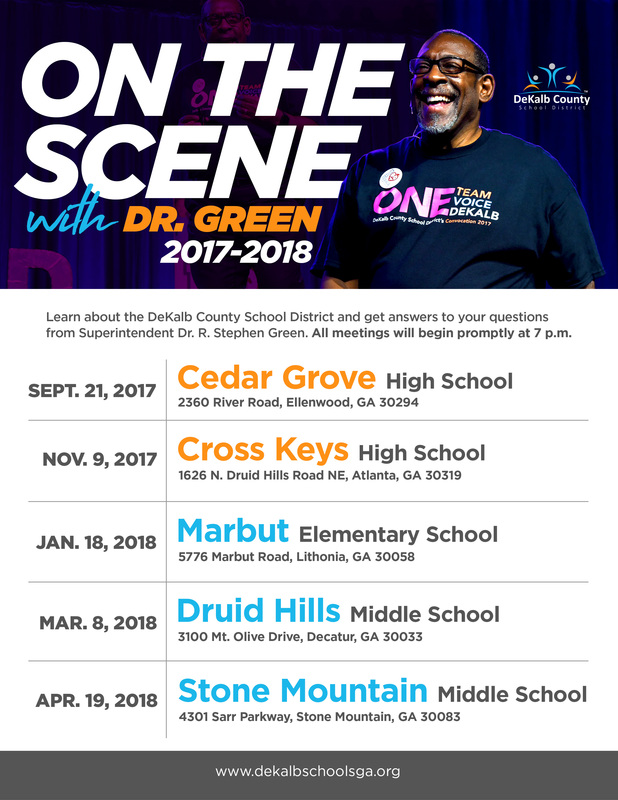 It’s one of the reasons we started the “On the Scene with Dr. Green” public meetings last year, and it’s why we schedule other opportunities for me to be with hard-working staff. We want to be as close to you and your challenges and opportunities as we possibly can. As superintendent of a district with 135 schools, 102,000 students, and 15,000 teachers and staff, I do have tremendous demands on my time. With this in mind, we have decentralized our structure and placed human resources professionals closer to each school. This helps resolve issues and solve problems more quickly than in the past. There’s a process for nearly everything in a school system, and that includes setting up superintendent meetings. First, let me ask you to make an appointment at your school to discuss what’s on your mind. Contact your principal. Ask for a meeting. After that discussion, if you feel your matter needs additional attention, ask to meet with your regional superintendent. I’m confident that our wonderful principals and regional leaders will give you the answers or attention you need to resolve any situation. However, if you have met with those leaders in my administration and still aren’t satisfied, feel free to escalate the issue to my office. You have a voice. We will listen. We respect and value you and every person employed in our school system. Why are veteran teachers getting slighted by the bonuses? We have been through the storm, working without pay raises or cost-of-living adjustments for nine years. We’ve had our retirement taken away without notice. Now are we getting the short end of the stick with the least amount of bonus money? We deeply appreciate the sacrifices teachers made these tough past years. Our teachers and other staff have been champions for children, and your dedication and professionalism has been nothing short of inspiring. Now that the school district has made some progress toward a full recovery from the devastating impact of the Great Recession, we’ve been doing our best to reward and recognize the longstanding contributions of teachers to our district. That’s why we provided a mid-year salary adjustment in January 2016, a 3-percent salary increase in July 2016, and a healthy retention bonus of $500 that will show up in the October 28 paycheck. All our teachers receive this same bonus. In 2015, the DeKalb district analyzed compensation in five other metro Atlanta school districts (not including Atlanta Public Schools). We found that salaries for teachers with 7-17 years of experience fell well below the metro average. That was also the range where our district had the most attrition, affecting our students and other staff. In January 2016, we adjusted the salaries of teachers with 7-17 years in our classrooms so that their pay is now competitive with pay in nearby systems. All other teachers received a 2-percent raise. We greatly value DeKalb district teachers, new and veteran. You have my word that we will continue to look for ways to recognize your good work in every way that is financially and professionally responsible. We fully understand that your performance in the classroom is the key to achieving our goals of being nationally recognized for educational excellence and for providing world-class service to students, staff, and communities.